Spain and Romano. I love Romano's swim shorts~!. 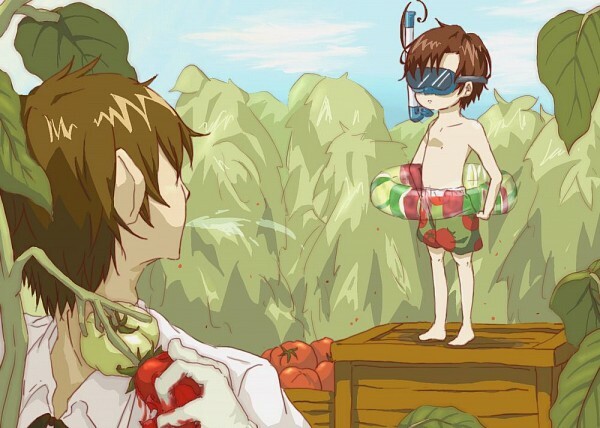 Wallpaper and background images in the Hetalia club tagged: hetalia aph romano tomatoes spain swim inner tube summer.